The last few weeks of summer are dwindling down. Every season is the same. It flies by too fast and we wonder where the time went. 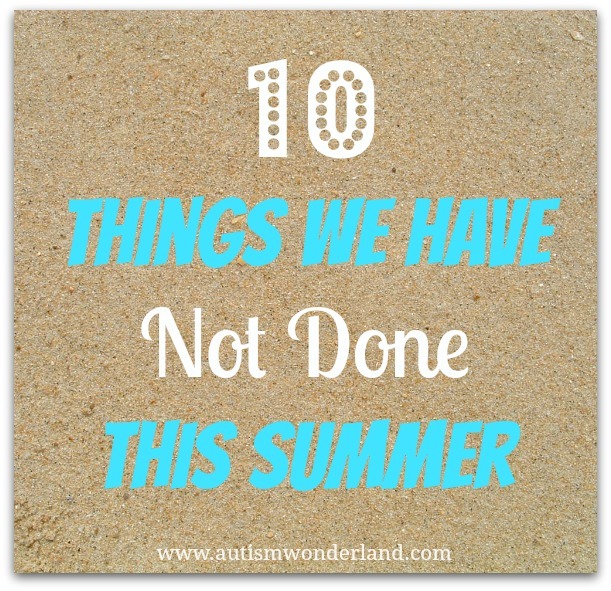 And yesterday The Husband and I couldn't help but think of all the things we have not done this summer. We haven't been to a BBQ. The Husband is very upset about this. He's missed out on hamburgers, hot dogs, coleslaw and potato and macaroni salads drenched in mayonnaise. We haven't been away for a long weekend. This year we haven't taken a vacation. When The Husband had off in May, The Boy was in school and I couldn't get time off. The Husband won't have vacation again until October. I'm really bummed about this. I thought we'd be able to squeeze in a weekend getaway but just didn't happen. We haven't been to the beach. I repeat. We have not been to the beach. Have I mentioned we live less than fifteen minutes away from the beach? We haven't walked along a boardwalk. There's something so romantic about walking along the boardwalk, breathing in the ocean air on a early summer evening. We haven't been to Great Adventure. We really wanted to do that this year. We've never been to Great Adventure's together. We haven't been to City Island. For those who live in the NYC area you know that City Island is great summer destination for good seafood and fruity drinks. We live 15 minutes away from City Island and we haven't had fried shrimp or calamari or a Mojito or Pina Colada all summer. We haven't seen fireworks. Because...well...this. We haven't been to Coney Island. As a kid we always went to Coney Island. We've only been once with The Boy. We haven't gone to the aquarium. Not sure why we haven't, we have the membership and a parking pass. 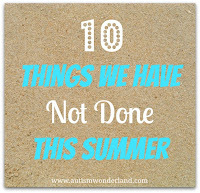 My list could go but I'll stop at 10 because all in all - it hasn't been a bad summer. And there are still a few more weeks left to cross some of these off the list. Except for the fishing. That ain't happening. 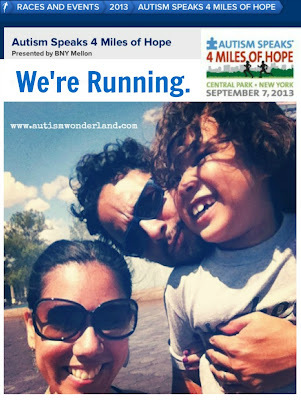 Register for the NY Road Runners 4 Miles of Hope race. 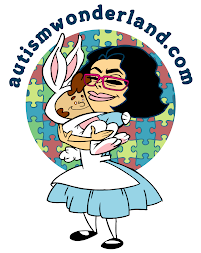 We are all running on September 7th. Tell me about your summer so far. What have you done? What have you not done?